Heavy Duty bags are plastic shipping bags, as a part of industrial packaging sector, used to transport bulky materials from one place to another. Heavy duty bags are constructed using strong polyethylene films which are designed to serve as holding for fertilizers, sand, garden compost, mulch, wood pellets, potting soil, seeds, sand, decorative rocks, and other heavy industrial products. 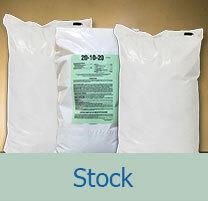 Based on the final application and the market demands, it is common to classify heavy duty bags according to the volume or weight they are able to hold, which determine the film thickness. Polypak Packaging’s delivers nice range of stock heavy-duty industrial bag which you can check at our Heavy Duty Stock Section. You can also buy online by visiting our E-store webpage. When looking for heavy-duty plastic bags, Polypak Packaging has a reputation for manufacturing the best products on the market. The coextruded multilayered polymer material we use is waterproof, as well as puncture, tear, and chemical resistant. Our heavy-duty bags offer outstanding sealability, UVI protection, unparalleled strength, product visibility, and size and color customization. 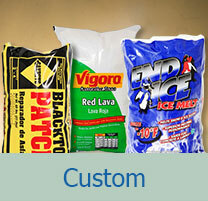 Consider our Custom Heavy Duty Bags which can be designed specially to meet your company needs. The combination of beautiful colors, graphics, and font gives your products an advantage in their marketing efforts and helps in company branding. Simply lets us know your custom heavy duty bags need by visiting Request a Quote webpage or calling us at our toll-free number 800-826-4000 to speak with our company representative. We will get back to you with a quick and competitive quote. All our products are made in United States.